that explores remuneration, global pitches, competitors and more. Thinkerbell’s move into media was inevitable once former OMD managing director Margie Reid joined in 2018, but even she has been surprised by the amount of interest in an alternative model. Frustrated by a lack of transparency and layers of services stacked on, clients, such as Bega, are turning to the young PwC-backed startup. While some industry leaders say the noise around Bega moving its full-service account to Thinkerbell was overhyped, with even The Australian picking up the news, others said it’s a sign of what’s to come with many clients dropping big network agencies for independent agencies. Reid recognises the growing demand from clients also stems from some feeling neglected by big holding groups. “What I hear from lot of clients, especially in that mid-tier, is they’re just not getting looked after,” she said. “There is a very strong appetite to engage with agencies that are able to provide different elements along that brand and consumer journey. Diversified services are another issue that clients are cluing into with many questioning the intention of being encouraged to using another internal agency. “There’s a lot of frustration around transparency and there’s also a feeling that clients are being shoehorned into the diversified services that agencies are offering," she said. "The question remains, is another agency being recommended because of a revenue opportunity? Or are they actually going to deliver on a business challenge? Eyeing more full-service clients, Reid said Thinkerbell’s model isn’t for everyone but there are brave clients out there that are willing to challenge tradition. The agency, founded by Adam Ferrier, Ben Couzens and Jim Ingram, is also not prepared to act in desperation to win clients and become unprofitable. “Not every client wants to see change and that’s fine. But the rest of the market is looking for that new model and we’re really starting to see that most are willing to have that discussion - even if it might be a discussion that takes a little bit of time,” she said. Having spent the majority of her career within Omnicom, Reid has seen media agencies attempt to move into creative, and vice versa, only to be then road blocked in the process. 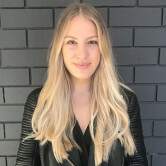 AdNews knows of instances of terse exchanges within groups when the creative agency wanted to move in on the media agency’s turf. In one case, a local tiff escalated and the global CEO ruled in the creative agency’s favour. However, the client was sick of the fighting so scrapped the idea altogether. Reid said there are agencies out there caught in the old school model of making money and it’s no longer sustainable. “The model is broken on the media side because it doesn’t recognise strategic thinking, and on the creative side as they feel they have to own every component,” she added. Now more than a year into the role, Reid is focused on educating clients about full-service offerings, hidden fees in contracts and Thinkerbell’s unique model, which she didn’t want to reveal the specifics due to commercially sensitivity. This interview is part of our February content series on the 'Changing Nature of the Agency Model' that explores remuneration, global pitches, competitors and more.